The Oromo is Ethiopia 's largest nation; they make such caps of greige skins of the olive baboon, which explains their tremendous value. For the ancient Oromo the baboon monkey was totem, and wearing its skin around the head ( and partly, as seen in the photo, under the chin ) guaranteed safety for warriors in hunting and battle. Their chiefs, of course, wore similar hats but of lion skins. 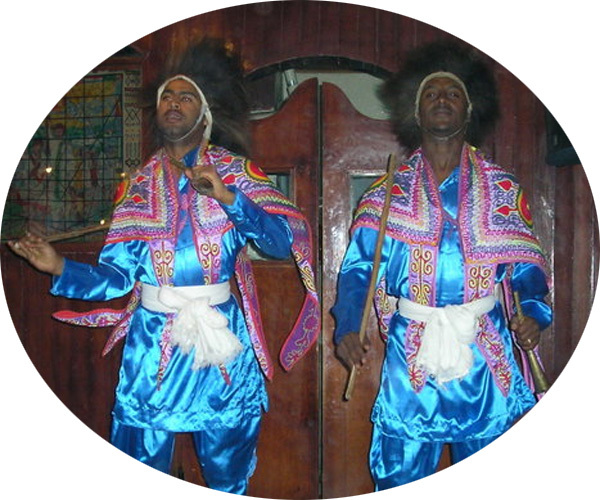 Nowadays, you can see the foll only on heads of performers of traditional dances at Oromo restaurants in Addis Ababa in the evening. 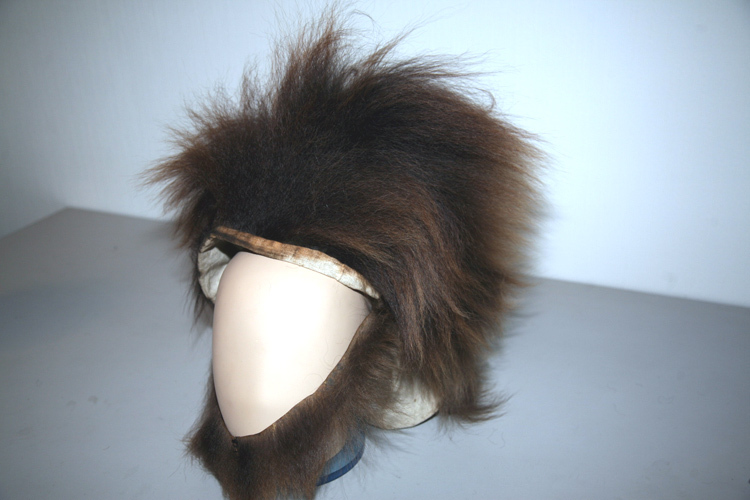 Similar headwear remained in Kaffa, but decorated with ostrich feathers; they are called “gomfo” here.